Choosing an engagement ring is a choice that must be approached carefully. You want to choose something that symbolizes the love you share, as well as the unique bond between the two of you. Allurez understands this bond and their jewelry selection reflects that, and that’s how they’ve come to be known as one of the top online jewelry stores. Halo Rings: Halo style rings feature a set of stones that encircle a larger stone. Within this broad category are the following types: the double halo, the angels halo, the floating halo, the princess halo ring and several others. Solitaire Rings: This style is one of the most popular styles because of their classic design. They are usually a single stone with a simple band that can vary in style, shape, and setting—from classic to twisted, to beveled and beyond. Vintage And Antique Rings: These rings are based on styles that go as far back as the Victorian age. 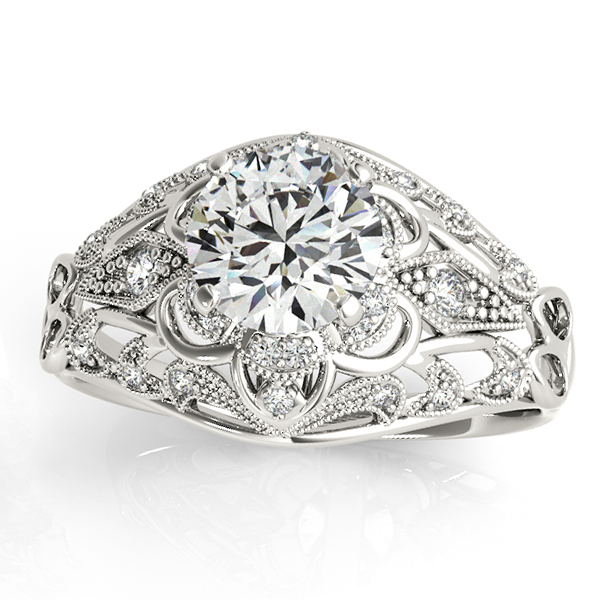 They include art deco type engagement rings, ornamental designs, filigree designs, and geometrically pleasing designs that emphasize shape and size. Gemstone Rings: Though diamonds are often touted as a girl’s best friend, many women prefer the beauty of gemstones with bolder colors. The symbolism and sentimentality of certain gems can mean more to a woman than the value of a diamond, so make sure to consider this when choosing a ring. Pave Set Rings: Pave set engagement rings feature stones set into the band that surrounds the center stone(s). These often resemble a cobblestone pavement, which is how the style got its name. These are just some of the more popular engagement ring styles. Of course, you can always opt to design your own engagement ring to add a unique touch and tell your betrothed just how special your love truly is. To help you understand the meaning and symbolism of the engagement ring or bridal set you choose, Allurez has a full page dedicated to the top engagement ring styles. To find out more, visit their store online or call (800) 554-3509.